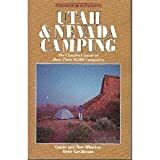 This book is a guide to every campground in Utah and Nevada. The guide features activity listings for hiking, horseback riding, boating, fishing; wheelchair accessibility; as well as maps with numbered campgrounds and up-to-date fee and contact information. The only book ever published that provides detailed information and camping fees at county and city parks in the Western United States. This is the first in a series of three regional guidebooks about America’s county and city campgrounds. Watch for Midwestern and Eastern/Southern editions in the future. There is no better place to start a free camping adventure or epic road trip than the four corners area. Rugged Mountain peaks, beautiful expanses of desert landscapes and sprawling canyons make up the four corners area of the United States. Arizona, Colorado, Utah and New Mexico contain some of the most photographed features in the United States. Easily find great free camping spots near the Grand Canyon, Arches National Park, Great Salt Lake, Rocky Mountain National Park, Gila National Forest and many more. The 4 corners guidebook will have the best free camping spots available in all of the listed four corners states along with the bonus states of Nevada and Texas. Whether you are planning a great weekend camping, or an epic adventure across the desert southwest this guidebook will help you quickly and easily locate free campgrounds, free campsites, or the best dispersed camping near the towns and park locations you want to visit. The best part is all important details will remain available even if you do not have an internet connection! The content in this guide is optimized for use on a phone or similar mobile device making it easy to travel with and difficult to forget at home. All important details will remain available even if you do not have an internet connection! Supporting website links and maps require an internet connection to access. Perfect for weekend Camping, Backcountry adventure, RVing, Tent Camping, Van dwelling, and Nomadic living. Free Camping in the states of Utah and Nevada is abundant and varied. From the iconic arches of Moab to the bright lights of Las Vegas. If you are looking for snowy mountain peaks, or warm desert expanses filled with amazing free camping, this guide has you covered. Utah and Nevada are home to some of the most spectacular desert landscapes in the country, and when you have had your fill of the dry heat, you can head for the mountains for some sweet relief. Utah and Nevada Free Camping was designed to help you quickly and easily locate important information on free campgrounds, free campsites, and dispersed camping . The best part is all important details will remain available even if you do not have an internet connection! Utah and Nevada Free Camping guide is optimized for use on a phone or similar mobile device making it easy to travel with and difficult to forget at home. Over 100 Free camping spots and the information you need to find many more hidden gems. Supporting website links and maps require an internet connection to access.